Looking for Personal One On One Support? Here’s a list of the current Private Offerings you can invest in from Sacred Spiral Services. You are, of course, always welcome to work with me and create your own, customized, private or group improvement program. Want free strengthening? Just refer your friends to me by having them complete the form in the blue box (on most of the pages of this website) offering them a free report and free sample session. When they do the sample session I will then give you the gift of a minute or so of remote strengthening for a problem or area of life of your choice – one gift for every referral who does the sample. After making your referral(s) watch your inbox for a message from me that says “Thank you gift”. Please note that you must purchase before scheduling, unless you have worked with me on a paid basis before before and have another arrangement with me). Once you have done that, if your service involves meeting with me, click here to schedule an appointment for the amount of time indicated in the service description. When you schedule you will be asked for a phone number or Skype ID that I may use to contact you at the time of the session. Choose the Skype or WhatsApp option if you 1) are in any country other than USA, 2) would like to be able to see me during our session, and/or 3) would like a recording of the session – on Skype only (please let me know when we begin). Don’t have a Skype account but want a recording of the session? Just let me know by email beforehand (at least a couple of hours to make sure I see your message) and I will send you the number for a conference line where we will meet. Email me at E.Kratka@sbcglobal.net. Once you have scheduled your first appointment I will email you a link to read and sign an agreement which must be in place before I can do any work with you. Please note: If you are grandfathered in at a lower rate than what appears on this page, you must have at least one session of at least 15 minutes every six months in order to continue at that rate. These improvement sessions may be unlike anything you’ve experienced before. Do not expect much talking during the session, as it will use up time that can better be used for improvement. Each session is performed via phone or Skype. I will briefly inform you of what I am finding and assisting you to clear, and I may occasionally ask you for feedback of what you are noticing or sensing. This ensures we are creating lasting results for you. It is also possible for me to assist you without us being present together. In this case, on the day(s) scheduled for your session(s) you are encouraged to hold a space of self awareness and acceptance. It is not necessary to stop your normal activities. In a Results Beyond Belief session you, in conjunction with your spiritual being, will connect to whatever energies and knowing you need to facilitate the improvements you seek. At the same time I will be directing you to strengthen the energetic weaknesses we find, a process of calling on the core of your being (innate intelligence) to use its power to literally dissolve whatever is preventing you from living your full potential and strengthen the qualities and capacities that would most benefit you at this time. As part of this you become neutral to experiences and thoughts that have weakened you in the past or could weaken you in the future. It is suggested that you book a full hour for your first session, especially if you have several areas of life you would like to improve. The investment for this is US$ 324 (10% off the regular fee for an hour). Click the link below to purchase. Optional add-on: It is highly suggested that your purchase an additional half-hour of remote work to be done over a total of 6 days following your session without phone or Skype contact. This will allow me to go deeper into any more change-resistant patterns I detect in one or more levels of your being (physical, emotional, etc.) to help resolve the problems that tend to recur. This is offered at the special discount rate of US$ 120 (one-third off the regular fee), to accompany first, hour-long sessions only. Click the link below to purchase. These sessions are usually 25 minutes long. The investment for these is US$ 150. Click the button below to purchase. If, after this or any succeeding sessions, you wish to do another 25-minute session within 10 days of the previous one use the button below to purchase at the discount rate of US$ 99. If you wish to do a full hour at any time after the initial session, the fee for this is US$ 360. As a bonus, this offering includes one week of Customized Daily Strengthening on up to two (2) problems that were addressed during the session but not resolved completed. (The bonus is only included with the full-fee version, not the discounted one offered to new clients.) Click the button below to purchase. If, after this or any succeeding sessions, you wish to do another 60-minute session within 10 days of the previous one use the button below to purchase at the discount rate of US$ 240. You may also choose to do a 15-minute session, but only after you have done either a one-hour or 25-minute one. The fee for this is US$ 90. If, after this or any succeeding sessions, you wish to do another 15-minute session within 10 days of the previous one use the button below to purchase at the discount rate of US$ 60. This session is done remotely, without phone or Skype contact. You may email me your list of requests for the session. There is no limit on how many requests you may send, but keep in mind that there may be other things I need to address first or in addition to what you have written, and that I may not be able to completely resolve everything in the 10 minutes you purchase. You are free to schedule an appointment for this session if you wish (so you know when I am working with you telepathically). However, it is not necessary. For the sake of clarity, please email me to let me know which option you prefer – with or without a scheduled time. And if the latter, use the calendar link near the top of this page. The investment for this type of session is US$ 60. Click the button below to purchase. If, after this or any succeeding sessions, you wish to do another 10 minutes done remotely within 10 days of completing the previous one use the button below to purchase at the discount rate of US$ 40. In this program I strengthen you remotely on a daily basis, six days per week, beginning on the Monday following your enrollment in the program, to whatever weaknesses I perceive, in the order they’re needing to be resolved. This is all based on my insight – what I feel, perceive and intuit, not on what you may think you need or are weak to. * You can just sit back and enjoy the improvement results in your body, mind and spirit as they occur day by day and accumulate over the course of one or more weeks. *An explanation: Even if you have a problem that feels urgent, it may not be coming from the area (of your body or life) you think it is. Also, there may be other things that your being is wanting to be neutral to before addressing any specific problem. Proceeding in the right order will make it more likely that you will maintain the improvement in your outer (body or life) experience, since you will have a strong foundation to build on. Therefore, feel free to send me a list of requests at the beginning of each week you are subscribed to this program (before Monday), but please note that your being will telepathically inform me of what needs to be done, which may include other things that are not on the list and possibly NOT include some that are (if you are not ready for those changes yet). Also note: I do not sent out any reports after the session. You are encouraged to simply feel the changes as they occur rather than thinking about them. There is no minimum limit to the number of weeks for which you may subscribe. Whenever you’re ready to stop you simply go into your PayPal account and cancel the subscription (or email me to do it for you). The investment for this program is US$ 30 per week. Click the button below to subscribe to this program. Same description as above for five days per week instead of six, and at a lower fee determined by you (with a minimum of US$ 10 per week). I have discovered that, just like athletes, everyone has a state they have attained (or have the potential to access) in which they experience life as effortless. When you are in this state you know who you are and why you are here. You’re being the unique individual that is you and radiating the beauty and power of yourself to All That Is. All is in flow and joy is the result. Again, the potential of that is there for everyone whether you have already experienced it or not. Each one’s Zone is different because you are a unique individual. For an athlete it may be the feel of life force coursing through their body; for another it could be standing in their truth. For me, for example, it is drawing that uniqueness out of another so they can recognize it. In fact I’ve realized that my sessions with clients have the best results when I work from my Zone. It’s also true, however, that accessing and/or maintaining that state may be your life’s biggest challenge. All the eons of conditioning you have experienced – the traumas, physical limitations and beliefs that are the stuff of life on Earth – have created what feel like walls around that place of power, keeping you out of it. So those things need to be cleared away in order for you to stand freely and consistently in your Zone. This service, performed remotely and one time only has been designed to reflect back what I see as your unique “place” of power. I will both determine what it is and clear away the obstacles (at least a good chunk of them) that have stood in the way of you accessing it. I will do this until I feel that you have accessed the state and that you are stable in your connection to it. Then I will send you an email telling you what your Zone is, so you can refer to it frequently. The fee for this service is US$ 33. Click the button below to purchase. You may read about this program in this document. The investment for the individual version of this program is US$ 600. Click the button below to purchase. Important: After you’ve purchased the Gold package above, click here to set up your first, 45-minute session. If, after this or any succeeding sessions, you wish to start a Gold program within 10 days of completing the time you had purchased previously use the button below to purchase at the discounted rate of US$ 399. In this program I will tell you how many of the above imbalances you have, and you determine how many you want me to work on, up to a maximum of 8 in each session. The session is done remotely. Each clearing is valued at US$ 20. Click the button below to purchase. Before proceeding, send me an email at E.Kratka@sbcglobal.net stating your interest in the program, and i will email back your number and the names of the things I will be addressing. From there, you would return to this page and make the purchase. Please note that not every weakness to a substance or energy (either wanting to have it or get away from it) is an allergy, aversion, addiction or craving. So if there is something specific you are feeling and it does not show up on the list I send you , let me know and I will advise you on how to proceed to eliminate the problem. The only program of its kind, in which we develop your own unique diet based on optimization of your energy. In other words, YOUR body will tell me which types of food you should eat and how often, as well as what to avoid and what times of day work best for you to enjoy your meals. The end result will be that you will feel your best, without food cravings or reactions. This program will also assist you in achieving your optimal weight, but please note that there may be many other physical and non-physical factors in weight gain or loss, so for best results in that area check out the Perfect Weight program further down on this page, which includes the RBB Customized Diet program. In the 25-minute session plus 15-minute follow-up I will lay it all out for you and answer any questions you have about specific foods. I will also assist you in becoming neutral to any food that is currently weakening you, which you would prefer to be able to consume (and let you know how often it works for you to do that). And we will energetically delete cravings for foods that are not on your supportive list. Finally, once we have the plan that you are physically in alignment with, we will also strengthen your mental alignment to it. The sessions will be recorded so you can replay them as much as you like. The investment for this program is US$ 197. Click the button below to purchase. For anyone experiencing lack, limitation or struggle, this jam-packed 6-week (6-session) program will teach you how to achieve maximum benefit from two universal laws that go far beyond the Law of Attraction to dramatically shift your perspective on reality as it is experienced through your body, mind and spirit. The investment for this program is one-tenth (a tithe) of your total income from the previous month with a minimum of US$ 300. If the minimum is not manageable you may also share the session time with up to two other people (see the Group Offerings page for information about that option). Contact me here with questions about this program and/or to enroll. Click here for a listing of what is addressed in the Reverse Aging program, as an example of how comprehensive these programs are. If you wish to do one of these problems, email me (E.Kratka@sbcglobal.net) for an estimate of how many sessions of how many minutes each you will need. This varies for each individual. If you agree to the program I propose we will determine a payment plan. (If you make full payment before starting the series of sessions there is a discount.) Put the name of your chosen program in the subject of the email. If money is an issue, I suggest you do the Prosperity and Success program first and then whichever you choose. There are many substances, such as flower essences, that give off powerful energies that address many non-physical causes of energy blockages, undesirable patterns of thought and emotion, and their physical effects in your body. The energies exist at various frequencies. Once this process is completed you automatically download the frequencies into your energy field so there is nothing more for you to do. Each blend remains an energetic match to you for an average of 12 months. The fee for this service is US$ 69. Click the link below to purchase. If you find yourself experiencing a lot of problems it might be helpful for you to align with your signature strength, one of ten that my guidance has shown me that are useful for human beings. In this program I will send you your particular signature strength, as well as the entire list, and you will be strengthened to be in alignment with it. Then, whenever you are experiencing a problem, you will be able to reference it to give you an assist that will make resolution easier. The fee for this program is US$ 33. Click the link below to purchase. Everyone has some purpose in coming to Earth. It may be learning, assisting someone else or grounding a particular gift on this plane, and it usually includes some degree of self-healing and growing in self-love. Sometimes the work a person is doing is an expression of their purpose or a way to connect with it. And sometimes, the purpose has nothing to do with their work, so it doesn’t matter what they do. However, there are also many cases in which a person’s plans and intentions, once they arrived on Earth, felt too difficult to accomplish, and they became mired in third dimensional energies and limitations. Souls in this latter category have requested my assistance and that’s why I’ve created this offering. Perhaps you are one of them. The intent of this service is to reveal to you what your original purpose (or purposes) was and align you with the knowing that you can (still) accomplish its key aspects, no matter what you have already done or how old you are. You will receive a brief report by email in which I tell you your purpose(s) and elucidate as much as I can about it. I will also let you know if you had chosen to engage in any specific profession or career either in order to express the purpose or as a secondary intention. And, finally, I will energetically assist you in aligning with the knowing and manifestation qualities that would be helpful in carrying out your spiritual intentions, both generally and specifically in this case. The fee for this service is US$ 55. Click the link below to purchase. Your life presents the opportunity – and all the challenges that go with that – to create whatever you desire. This occurs under the direction of your inner authority, which is your connection to Divine wisdom, to universal as well as personal truth and to guidance concerning your unique path of growth. Each person comes to Earth endowed with the ability to access that authority. However, lifetimes of experience and conditioning often have the effect of dulling one’s sense of connection to it. This service offers you both information about your specific way of accessing your inner authority, which will likely be different from many others you know, and strengthening to make it easier for you to connect to it. Everyone also comes equipped with a strategy that feels the best to them and yields the best results in dealing with life’s circumstances and events. This aspect, too, is different for you than for others you know. This service will inform you of your particular optimal strategy, and you will be strengthened to accept and fully utilize it. If you are familiar with the Human Design system you may have heard about or worked with these concepts before. Please note, however, that I am using insight, rather than any charts, to determine both your authority and strategy, and have slightly modified the information of that system according to my own guidance. So the information you get from me may be different from what you receive from a HD practitioner. People tend to think of life’s disasters and dis-eases (both the physical and non-physical kinds) as being beyond their control. But the truth is that everything has its roots in consciousness, including these “out-of-the-blue” experiences, and all consciousness is amenable to intentions of change that connect with your innate “operating system”. 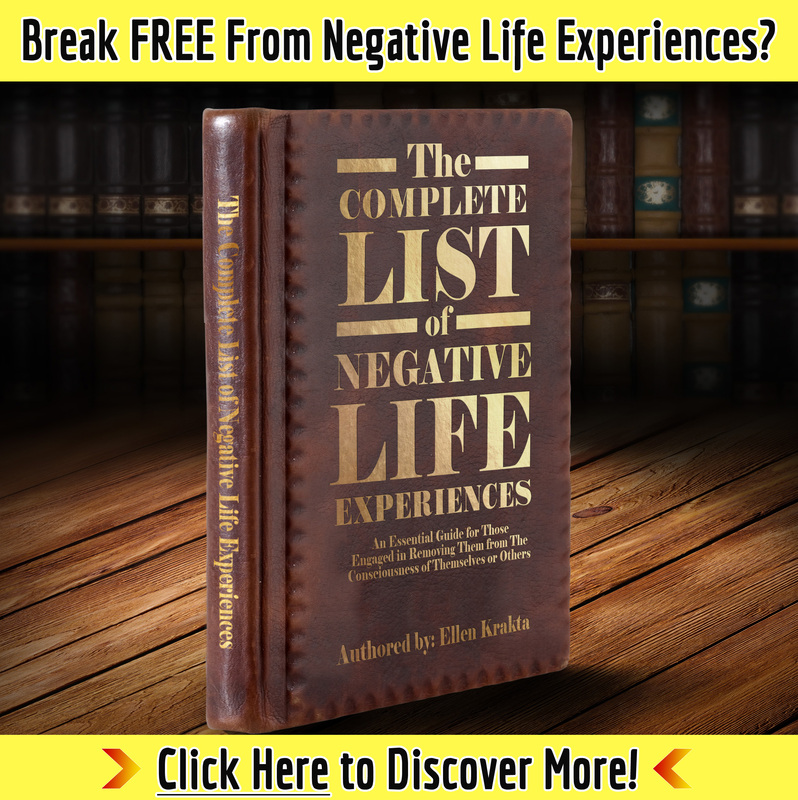 This program offers you the possibility of avoiding unpleasant experiences before they happen, rather than trying to deal with them after the fact. You either will not experience them at all, or if you do (perhaps as part of a group that is still working on the lessons they offer) you will not experience them in the same way or with any of the same effects. You may access the complete list of what is addressed in this program here. The fee for the RBB Assurance program is US$ 96. This is a one-time fee, and the service need never be re-purchased. Click the link below to purchase. After purchasing you may expect a message of acknowledgment with a time estimate of when the work will be done (remotely, without our needing to be on the phone or Skype together). I will also notify you when the work has been done.